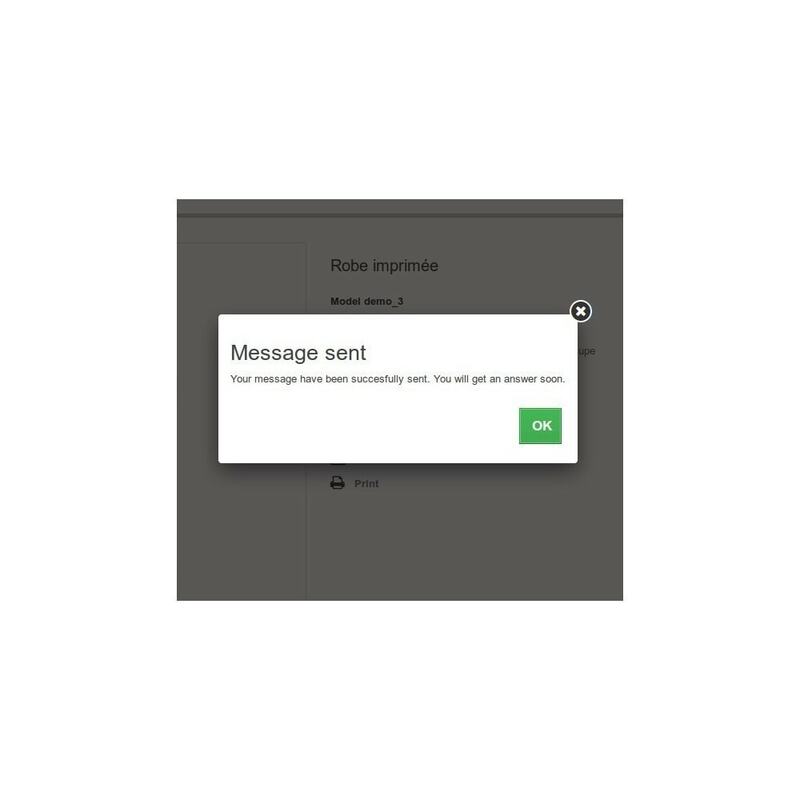 Let your customers ask a question about any of your products using this elegant popup form on each product page. 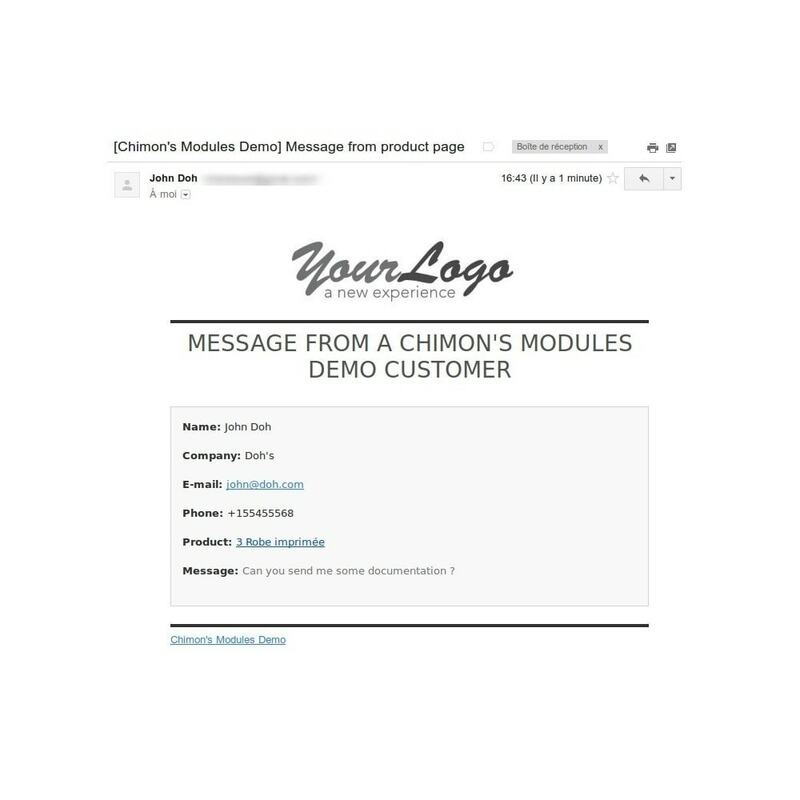 The module adds a "contact us" button on every product page, that opens a popup with a contact form. 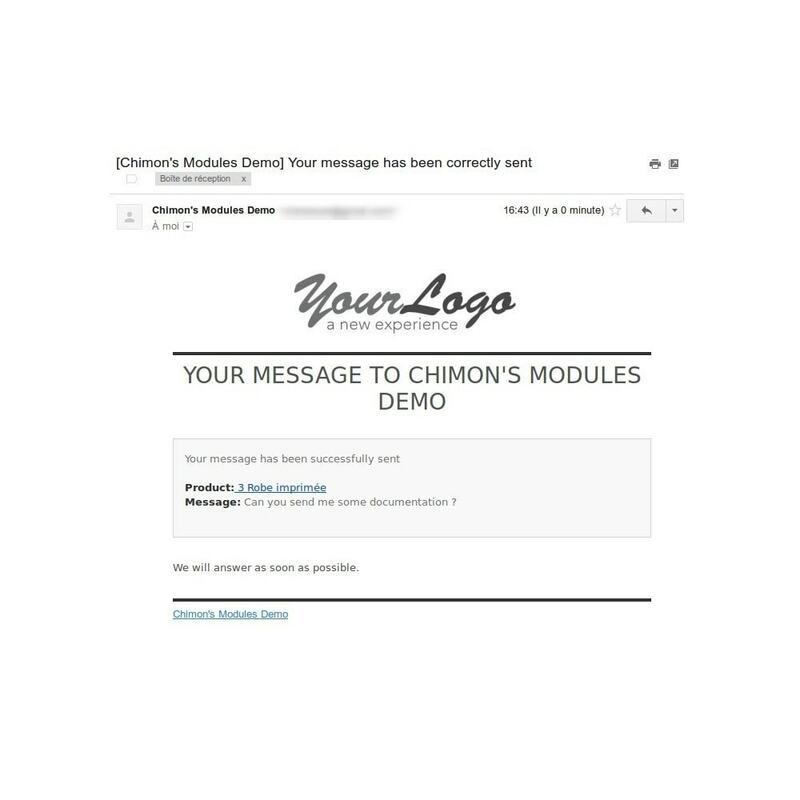 Don't miss any of your customers. Essential for catalog-mode stores ! 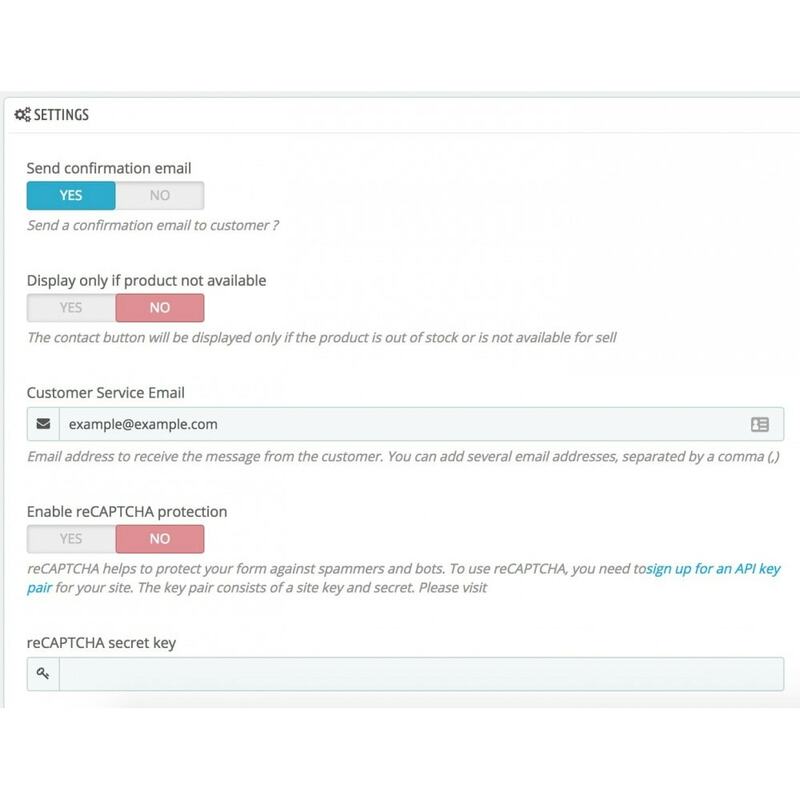 Your customers can now contact you without taking their eyes off your product ! 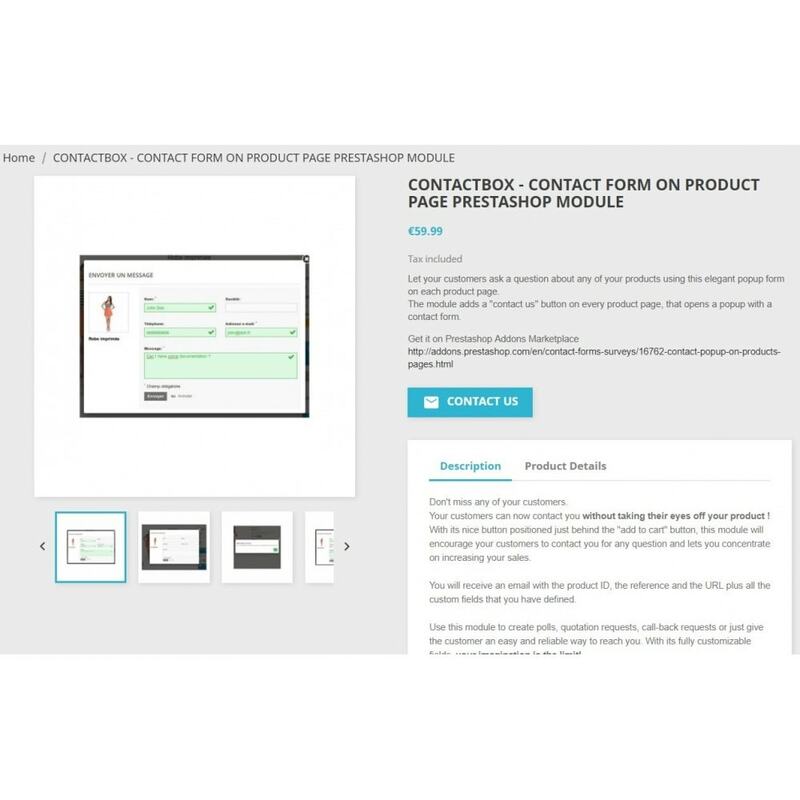 With its nice button positioned just behind the "add to cart" button, this module will encourage your customers to contact you for any question and lets you concentrate on increasing your sales. 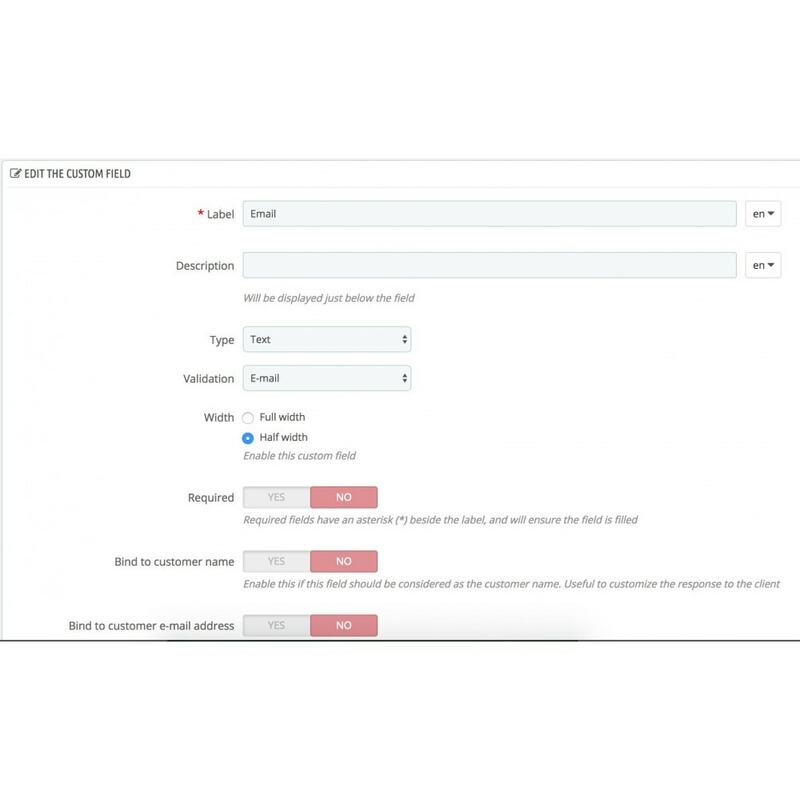 You will receive an email with the product ID, the reference and the URL plus all the custom fields that you have defined. 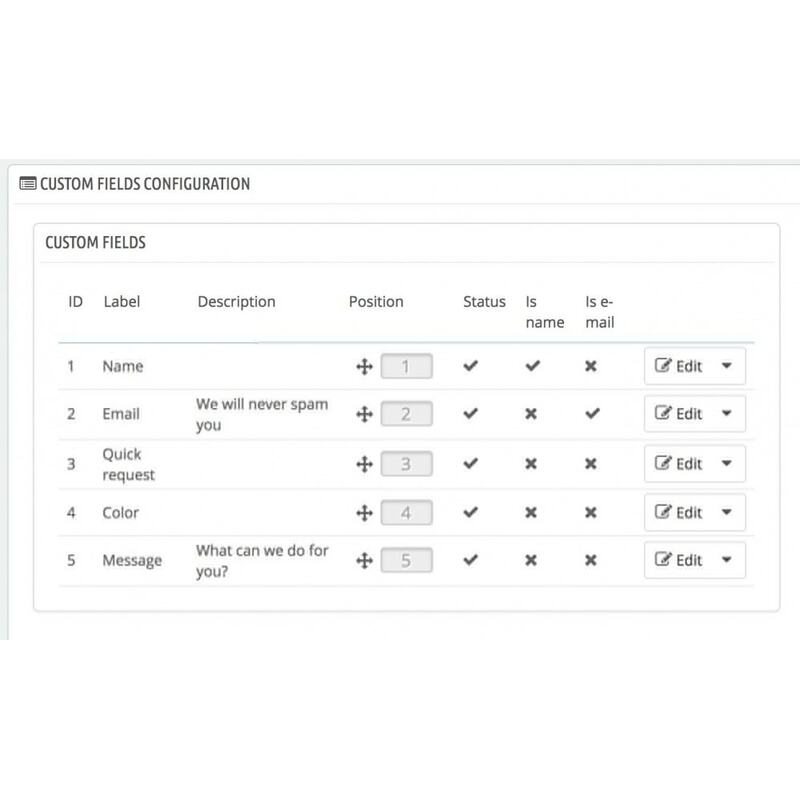 Use this module to create polls, quotation requests, call-back requests or just give the customer an easy and reliable way to reach you. With its fully customizable fields, your imagination is the limit! Fully responsive. Try it on your smartphone ! 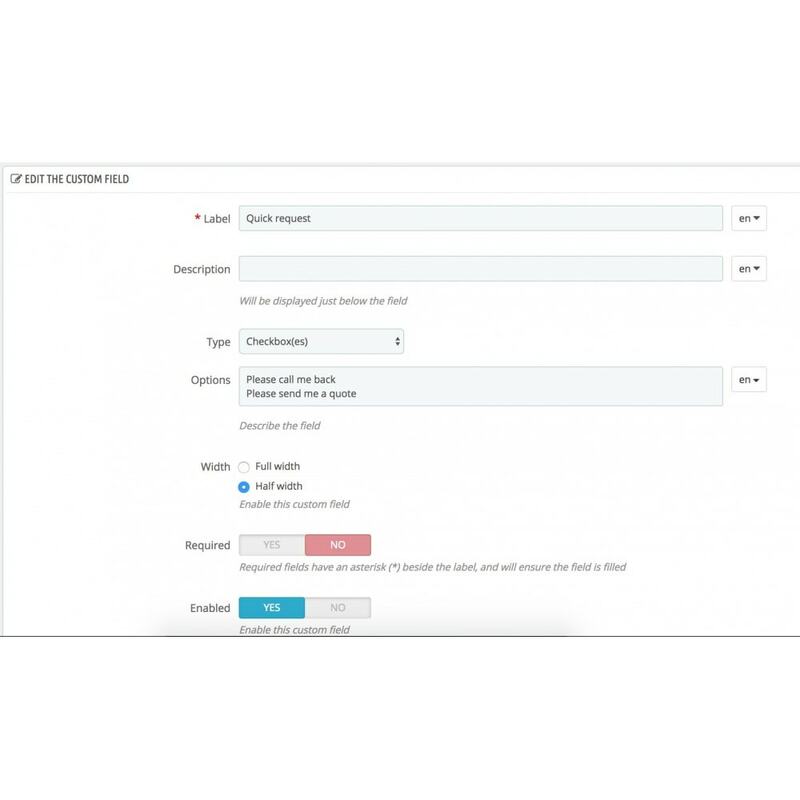 Customers will not have to look after your contact page any more and break their browsing experience. 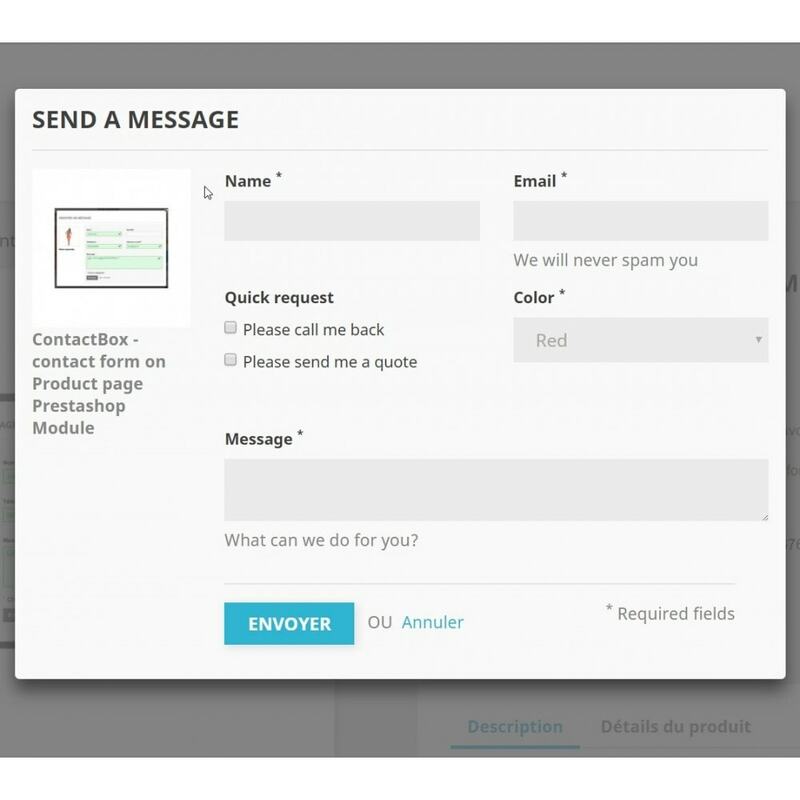 With this contact form, they can quickly ask a question or request a call back while browsing your products. Upload the zip file in your Back-Office. 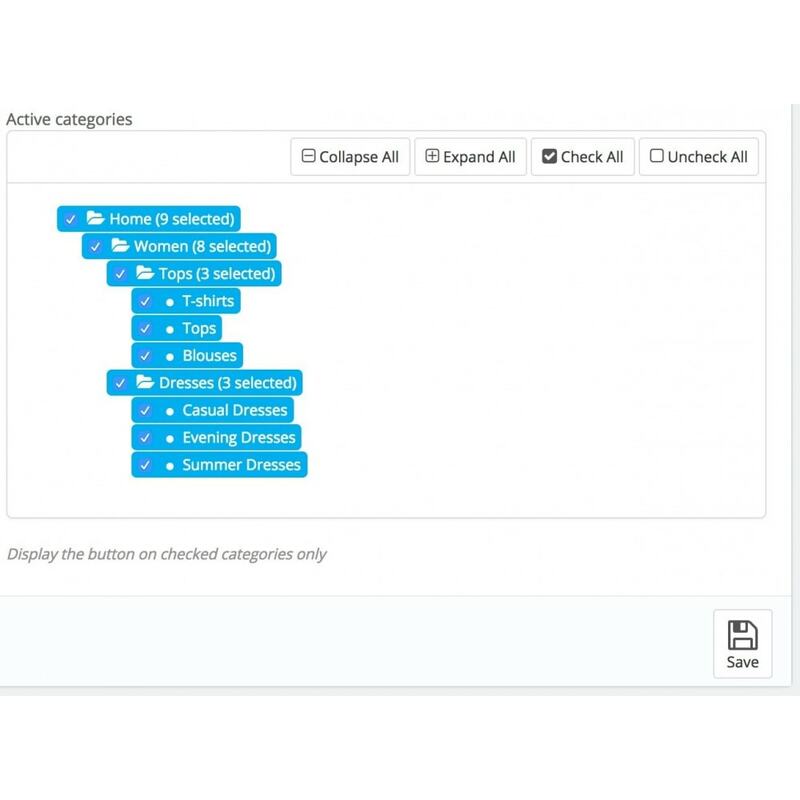 The modules comes with some predefined fields. Feel free to edit them and add your owns !